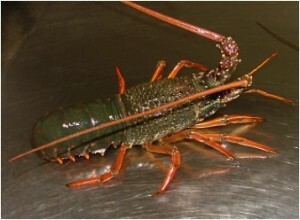 Packhorse Lobster (Jasus verreauxi) | Wildfish Export Ltd. 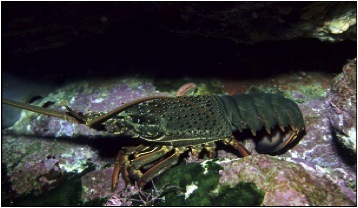 Description: Found in the north and east of the North Island, Packhorse rock lobster live around rocky reefs at depths of 5 to 275m. They are larger and have a slightly greener colour than rock lobster (crayfish) and are mainly caught in the far north waters of New Zealand. 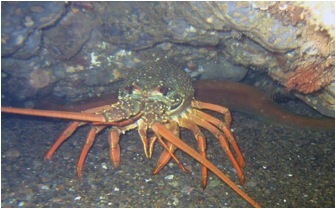 The packhorse can be distinguished by its much larger body size, smoother tail and its very broad carapace, only slightly shorter than the abdomen. 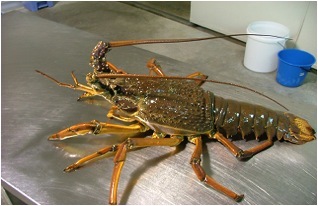 Packhorse rock lobsters are found in the Northern areas of the North Island between Cape Reinga, and just south of the Mahia Peninsula on the East cape. Also know as: koura, papatia, pawharu (Maori), packhorse crayfish, crayfish, green rock lobster, Eastern rock lobster (Australia / US). Size: 40-60 cm (15-23in) total length. The packhorse males average size is between 40-60 cm (15-23in) total length females being slightly less. Season: They generally move into deeper water in early winter, and return closer to the shoreline in late August.